The Avocent LCD17 is a 1U 17" rack console that provides out-of-band access to KVM switches for convenient access and control of your PCs and servers. Its flexible design is well-suited for the small to medium-size business environment, data centers and server rooms. The LCD17 rack console unique dual rail design allows the keyboard and 17-inch LCD display to slide in and out independently of each other for easy operator use. You can view the display even when the rack door is closed. The universal mounting hardware and cable management design lets you easily mount a 1U Avocent KVM switch behind the console. Easy to access and low demand on valuable rack space. It also accommodates the mounting of a KVM switch at the rear without requiring additional rack space. Dual rail design enables viewing of the LCD display even when the rack door is locked. The LCD component slides out independently of the keyboard and can flip vertically through 90 degrees simplifying operator use and at-the-rack work space. A key lock prevents access to the keypad or LCD trays. Efficient non-network access point reduces downtime in the event of the KVM over IP network access being unavailable. Question: What is this used for? 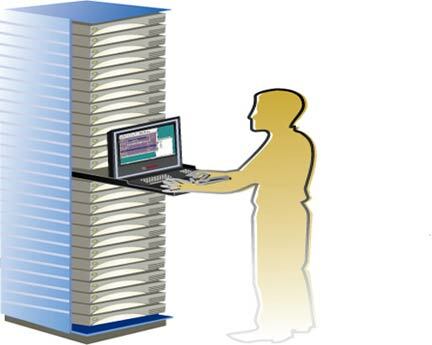 Rack mount LCD consoles are mounted into a server rack and are used to control or monitor your PC / server, or all of your PCs / IT infrastructure (using a KVM Switch). Question: We used AVOCENT LCD17-001 and this product is now discontinued, Please info us for recommended replacement with same size and detail specification soon. You may want to consider the similar Rose RV1-CDKVT17 Dual-Rail Console Drawer - both units feature a 17" 1280 x 1024 screen, are 17.7" (450mm) deep, and have VGA and PS/2 connectors.